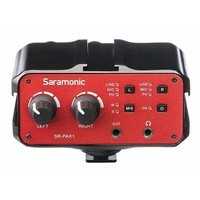 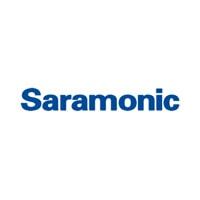 The Saramonic SR-AX101 is a 2-channel audio adapter for recording high-quality audio for DSLR cameras and any camcorder with a 3.5mm (1/8") audio input. It allows you to record pro-level audio from XLR outputs. 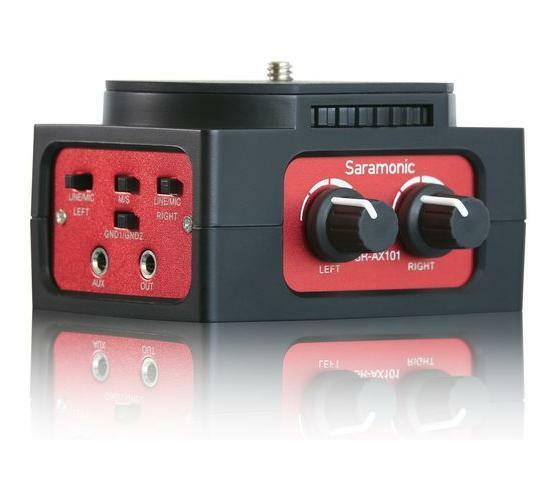 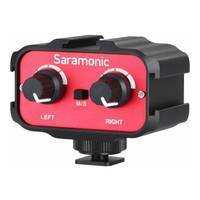 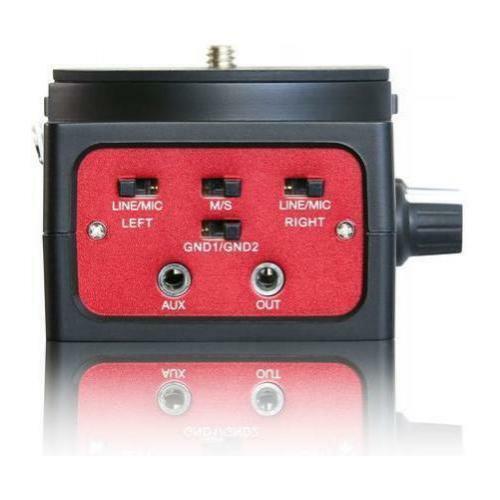 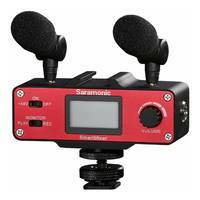 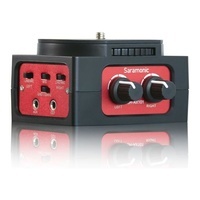 The Saramonic SR-AX101 is a 2-channel audio adapter made for recording high-quality audio for DSLR cameras. 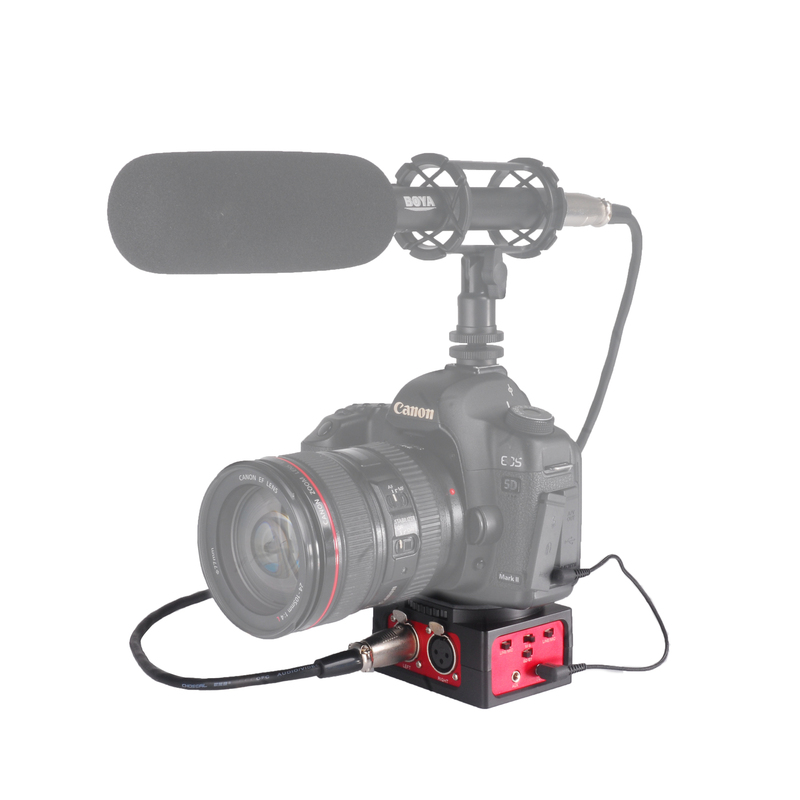 It allows you to record pro-level audio from XLR outputs into any camcorder with a 3.5mm (1/8") audio input. 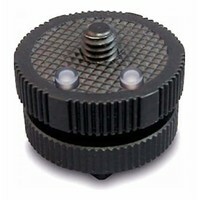 This device even has a tripod socket for connecting to a camera. 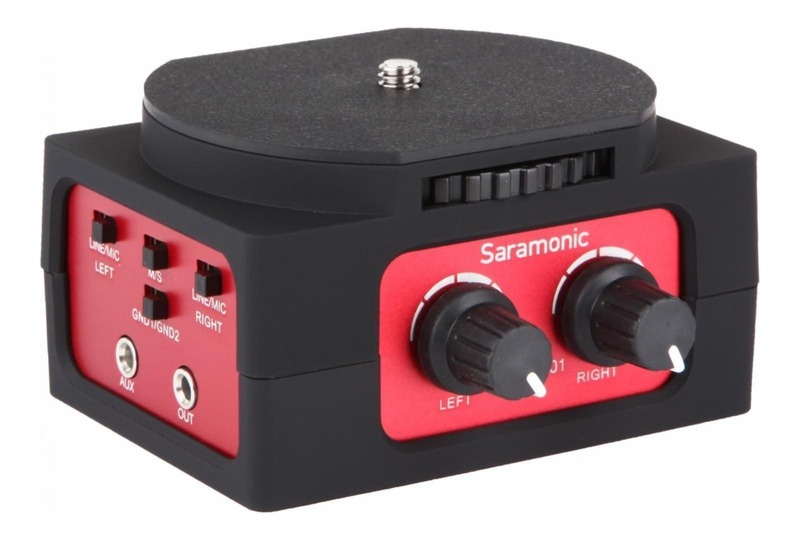 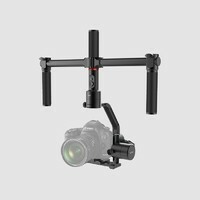 You can also connect the SR-AX101 to many different audio devices, like XLR microphones, wireless mics, audio mixers, and preamps. 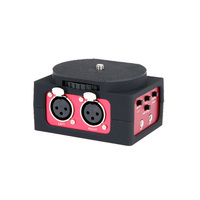 And because it has a passive circuit, it's essentially noise-free. 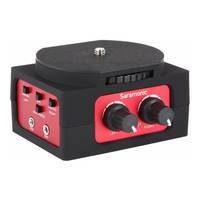 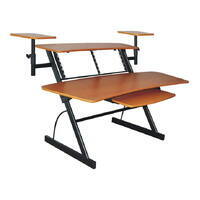 It also does not require batteries or a power source.